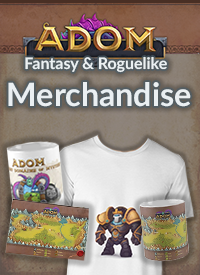 We just released ADOM 3.0.5 to our prerelease testers... the most important new feature is the ability to delete highscore entries which became a necessity to allow people to remove highscores created through uncouth means before synchronizing them to Rogueleague.org. This now is possible. All other bug fixes are documented as usual in the changelog. The prerelease is available from the same location as always. 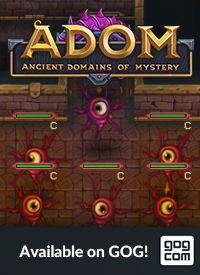 IMPORTANT UPDATE (slight miscommunication between Jochen, who is doing the Steam deployments, and me ;-) ): ADOM 3.0.5 is already on Steam as a public beta. This page explains how to activate it. 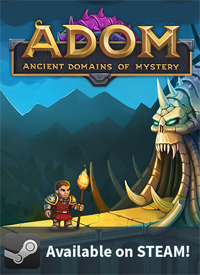 Oh, and please vote for ADOM to become the Indie Game of the Year 2017 at IndieDB ;-) Thanks so much!